Last week, we received a delectable platter of goodies from one of our happy clients! 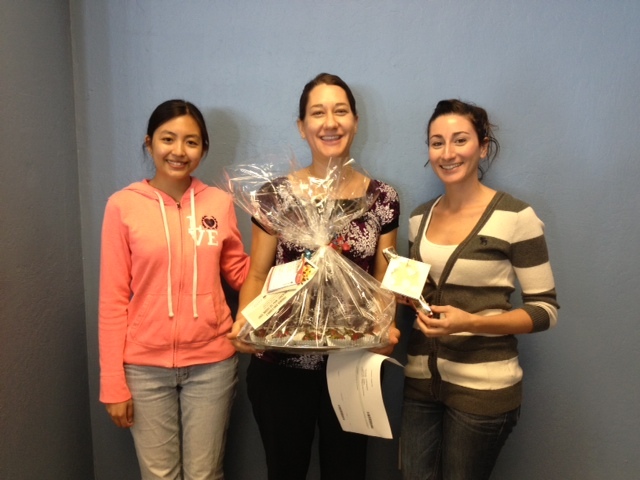 Pictured above: our Prepress Operator, Jaimie Chu, and our Customer Service team, Caroline Gonzales and Monica Galvez, with the platter of goodies! I currently live abroad, and without SHQ and the customer service team, I would not be able to continue offering high-quality printed wedding stationery. I get so many compliments from brides and I owe a lot of it to your team! We’re always happy to serve! If you ever need our assistance, feel free to email us or call us at 1-800-384-0910.